The Checkered Genealogy of The Alexander Cocktail Family Today's featured cocktail is the Bourbon Alexander, son of the Brandy Alexander and grandson of the Alexander, a cocktail created in 1915 for World Series Philadelphia Phillies pitcher, Grover Cleveland Alexander. 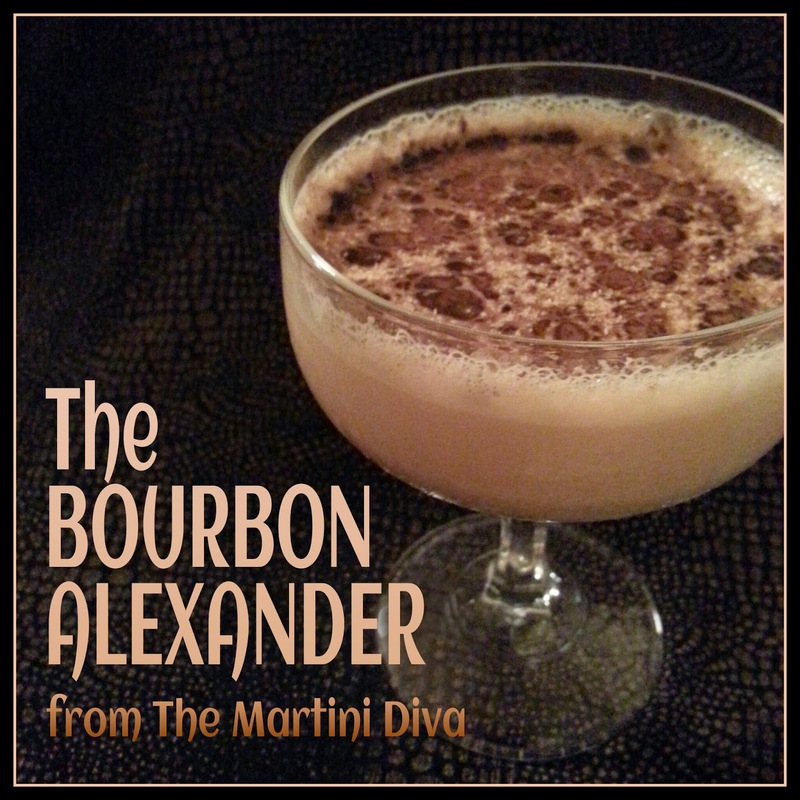 The patriarch Alexander recipe is equal parts gin, chocolate liqueur and cream, the Brandy Alexander son replaces the gin with brandy (or cognac) while the grandson, Bourbon Alexander, replaces the gin with bourbon. There is also a Coffee Alexander which substitutes coffee liqueur for the gin, sort of cousin in the Alexander lineage, as well as a Blue Alexander, a family outcast which dares to replace the chocolate liqueur with Blue Curacao. The Bourbon Alexander also has a fairly unpopular sibling, Alexander's Sister, whose only accomplishment has been to replace the chocolate liqueur with Green Creme de Menthe. All of the Alexanders bear a striking family resemblance to the Milk Punches of old which consisted of milk, bourbon or brandy, sugar, and vanilla extract, a favored holiday beverage in the 1600's. Add egg to the Milk Punch and you have Eggnog Punch or Eggnog, the great aunt of the clan. The Bourbon Alexander doesn't seem to have so revered a history as it's ancestors, but that does not mean it doesn't have a respected position in the Alexander family. In fact, I rather prefer the bourbon over the gin, brandy or coffee (I make no mention of Blue, whose unwed mother status forever casts him as the family pariah.) I have even been known to replace the chocolate liqueur myself with Kahlua, a better tasting, wiser marriage with better prospects for the Alexander fortunes. I suppose that would be an in-law cocktail? Many friends of the Alexander cocktail line will use ice cream in place of the cream and, if you like that idea, go for it. I consider that an entirely different genealogy of libation, one of murky lineage who keeps questionable company. Unless I've made my own ice cream I prefer the half and half or heavy cream because they don't contain the stabilizers and/or artificial flavorings of mass produced ice creams, nor the unneeded sugars. It might be tasty, but it's divorced from the dynasty. The BOURBON ALEXANDER 1 Oz. Bourbon 1 Oz. Dark Creme de Cacao 1 Oz. Heavy Cream (or Half & Half) Pinch of Sea Salt Dark Cocoa Powder Fresh Ground Nutmeg Fill your cocktail shaker with ice, add the bourbon, dark Creme de Cacao, sea salt and half & half then shake until chilled. Pour into a cocktail coupe, dust with a pinch of both dark cocoa powder and nutmeg. There you have it, a Bourbon Alexander, the modern day descendant of a 17th century Milk Punch, first born of the Brandy Alexander, grandchild of the Alexander and great nephew of the venerable Eggnog! Boozy nepotism at it's best! Happy National Brandy (Bourbon, Coffee) Alexander Day!